Residents of Scarborough and Oshawa who lack a walkout basement separate entrance should consider the benefits of such an addition. May nice, dry basements are neglected or underused just because they lack access. Whether your basement is used for recreation, storage, utility rooms – or is largely neglected – you can benefit from having a nice, secure walkout separate entrance. Many nice basements are accessible through only a single, indoor staircase. This access problem frequently results in the basement being underutilized, simply because it may be difficult or impossible to move furniture and appliances into or out of the space. A nice walkout basement entrance can greatly enhance the usefulness of this valuable part of your home. Consider, for example, moving a heavy billiard table down an existing stairway. Compare that with bringing it through the door of a separate “walkout” type basement entrance. Another good example of enhanced access would be moving a washing machine, or freezer in or out of the basement. You can no doubt see that having a well built separate walkout entrance will greatly improve your basement. If your basement is underutilized, and you really don’t need the space, you may want to consider finishing it as an apartment. With an outside entrance, it becomes a very marketable rental space. If you can spare the room and could use the income, a separate walkout basement entrance enhances the value of your Scarborough or Oshawa home. All of this makes sense, but if your Scarborough or Oshawa home was not built with a separate, walkout basement entrance – what can you do about it? In most cases, installing a separate, walkout basement entrance is not really terribly difficult. The most complicated part may be designing the modification in a way that will not weaken the house or cause leaks. With a good design, cutting the wall may pose the greatest risk, since you must support the house in the area of the cut. New footers will be needed, with appropriate reinforcement. This is no job for a novice, as it can actually cause structural damage to your home. Inexperienced, “do-it-yourselfers” should limit their part in such a project to non-structural details, such as painting. While homes in Scarborough and Oshawa can be greatly enhanced by well built separate, walkout basement entrances – a poorly built entrance may damage your home! Immediately after you have “dreamed up” your ideal design, contact a reliable contractor. Be sure to ask for and accept their input concerning a design that will “work” in your situation. Select a contractor with previous experience in the construction of Separate Walk out basement entrances, here in the Scarborough / Oshawa region. Ask whether they guarantee their work in writing – and if not KEEP LOOKING – because the best contractors guarantee their work in writing for 25 years. 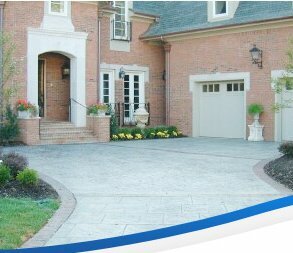 AquaResist Inc. has strong experience and offers an excellent warranty. They can install a separate walkout basement entrance in your Scarborough or Oshawa home.